The majority of the Finals matches were played before the lawns were closed. Congratulations to the new Club Champions. 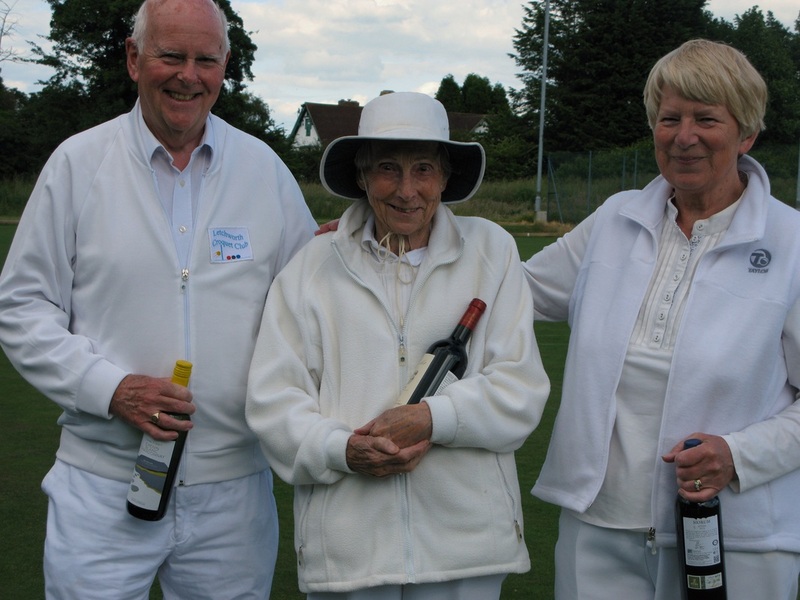 Norma Kennedy, who was Club Secretary, died on 3rd September. Many will remember Norma as our secretary at the time of the club's move from Willian Way to Muddy Lane. She and Andy hosted one of our club's Summer Parties in their delightful garden. Congratulations to Peter Aspinall who has won the Area Final of the All England AC competition at Edgbaston, winning all 5 games, and will now compete in the Final at Chester. 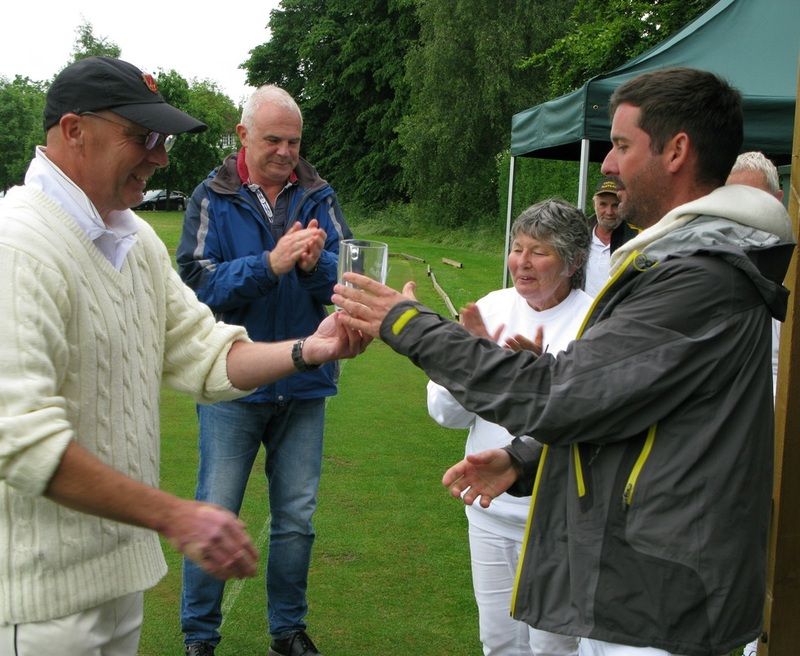 National Semi Final of GC Interclub tournament saw Letchworth pitted against Ashby. 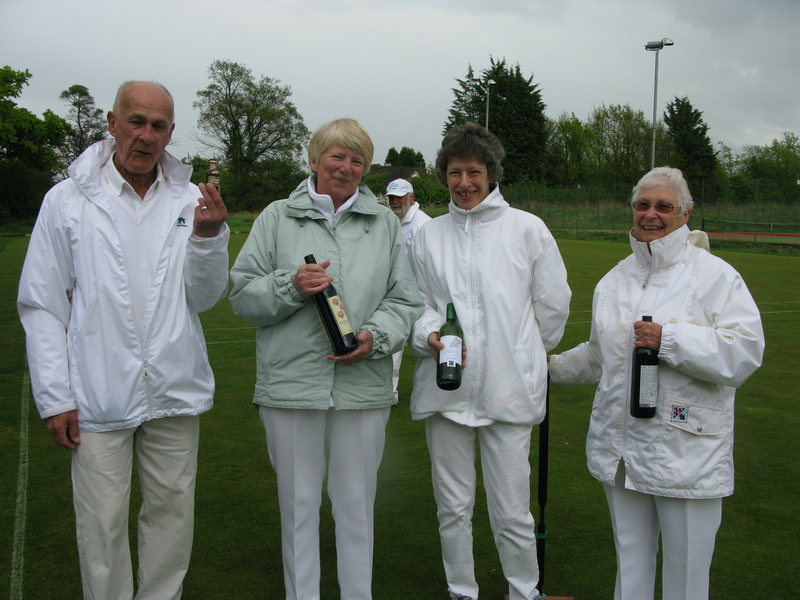 Friendly GC Doubles match v Leighton Linslade 4th September. 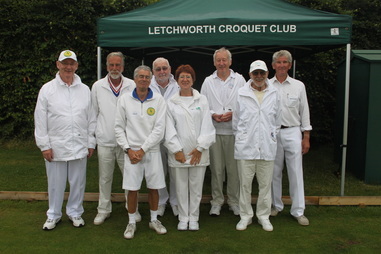 The Letchworth team had a most enjoyable day but never fully mastered the idiosyncrasies of the lawns and were defeated by the home team's skills. Instead of the usual bright sunshine we had non-stop rain so the festivities were moved indoors. Games of Jenga, Table Ice-Hockey, Yahtzee and Trivial Pursuits took over instead of the usual crazy croquet and were played just as competitively! Thanks to all who provided such delicious food. ﻿﻿Letchworth Reds drew 9-9 with Enfield (E)﻿﻿ when they played at home on 13th July. The day progressed with many ups and downs and, as the final whistle blew, Enfield were poised to win the match. However the final game was a draw at full time and a deciding hoop had to be played. Despite having no bisques to draw on Graham held his nerve and won the game against an intense Tony Elliott (4), making the final score for the day a draw at 9 games each. Congratulations to the following members who will progress to the next stage in their competitions. 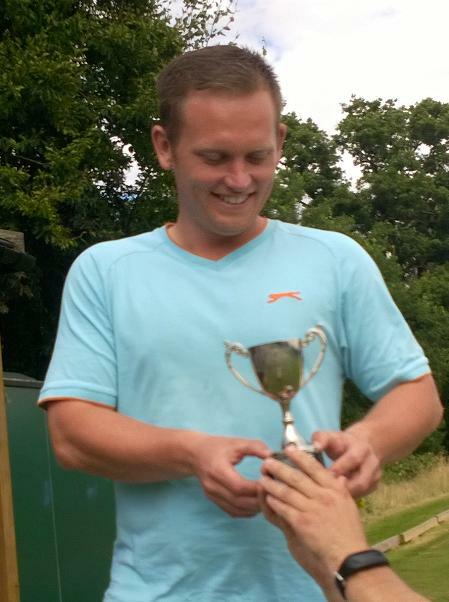 Nick Mounfield saw off all opposition to win the GC Level Play Tournament played at Letchworth on 13th June. Coming top of his group in the block stage and beating John Noble 7-4 in his semi-final, Nick went on to beat Paul Gunn in the final 7-4. On 12th June there were three Letchworth players, Tracy Martin, Peter Aspinall and John Noble, in the semi-finals of the GC Handicap Tournament held here. Peter won through to the final but was beaten by Stephen Thornton 10-7 in a 19 point game. 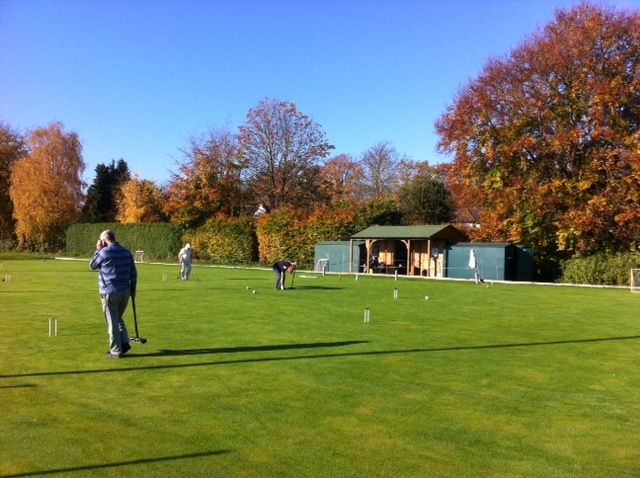 With the sun shining at last, everyone had a great time - plenty of croquet but also plenty of strawberries and cakes! There were 3 groups of 4 players who all played each other within their group. The winners of each group, plus the highest placed second player, went through to the Semi-Finals and Final. For those not reaching the Finals there was a Consolation Doubles event to take place at the same time as the Semi-Finals, finishing in time for everyone to watch the Final. 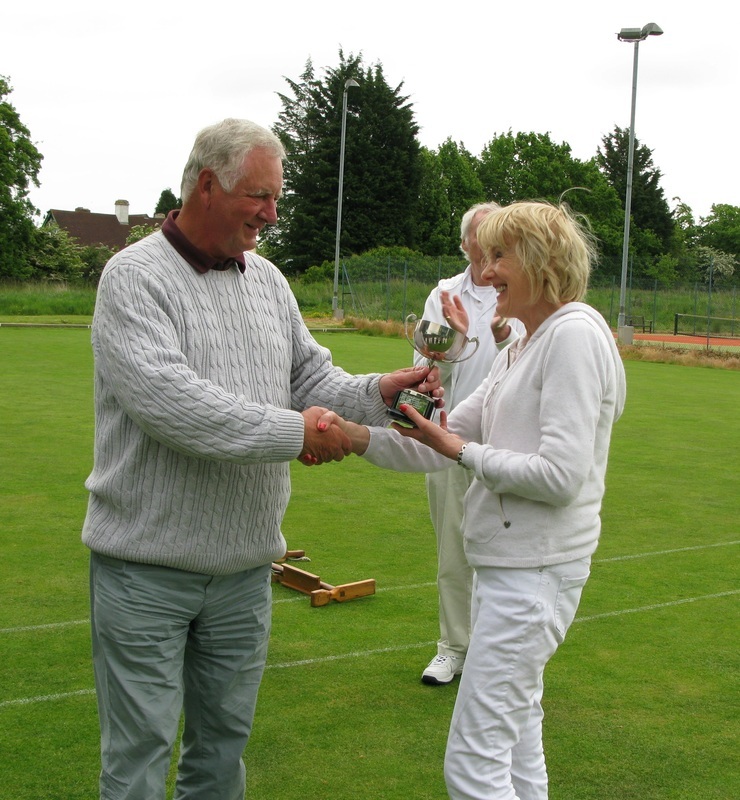 John Andrews from Ipswich won the ﻿﻿CA AC Handicap Tournament held on 13-14 May. ﻿﻿ Both he and Jordan Waters won 4 of their 5 games, but John took the trophy as he had beaten Jordan in one of the earlier rounds. Heather Bennett found the awful weather on Thursday not to her liking, but Peter Aspinall fared rather better, finishing with a stunning game to achieve his CA Bronze Medal, so our congratulations go to him. Sheila Rhodes, Jackie Gough and Anne Barrance tied for first place with the highest individual scores while Paul Martin was awarded a consolation prize! The afternoon provided every sort of weather including thunder, lightning, downpours and sunshine but we managed to complete the schedule and finish most of the cakes. Congratulations to Club members Duncan Hector and Peter Whiting, who represented Herts at the Inter County Golf Croquet tournament held indoors at Soham and were the winners.